You know when you see a place on Instagram, but wonder if the photo is edited to be that gorgeous? It can't actually look like that, right? Well, let me tell you-- Banff National Park is even more beautiful in person. Hey Calgary, I had fun stopping by. LA has some seriously magical poppy fields right now! Click through for maximum frolicking. I had the BEST time in San Francisco! From biking over the Golden Gate Bridge (which was surprisingly easy, btw) to drinking phenomenal coffee at Saint Frank to chowing down on delicious burritos, this trip was a win! Click through to watch my travel vlog! You guys, for Halloween this year, I went to the largest puppy costume parade in America, and it was HEAVEN! Check out my vlog of the day! Melrose Trading Post is THE spot to score vintage gems in Los Angeles. Explore the flea market in this video, and check out what I found! 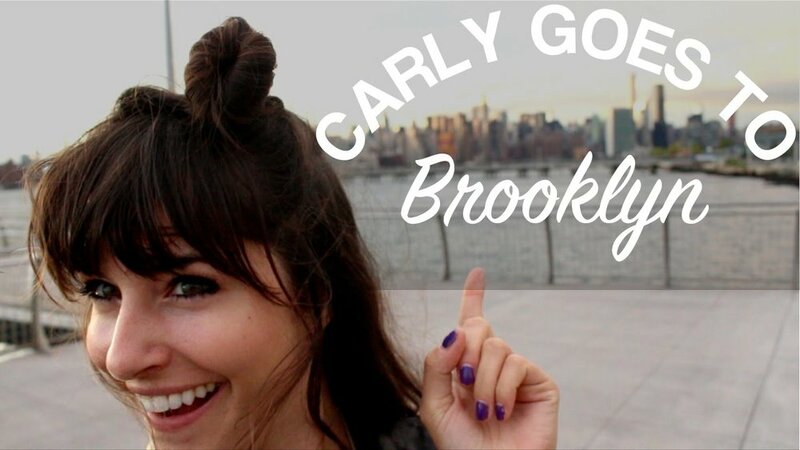 I traveled back to Brooklyn to hang with my sis, shoot with mtvU, and have little adventures around the city! We hit up the Renegade Craft Fair to check out cuteness all around, went bowling at The Gutter in Greenpoint, biked around Williamsburg, ate delicious cheap falafel at Oasis right off of Bedford, and went to The Whitney for my first time ever to check out some cool modern art. I hope you did a ton of fun things this summer- I know I did. I actually realized all of the cool things I did when I started making this video for you guys! Click through to watch!